When I was first posted as a Marine to the Washington, D. C. area, in 1989, a friend here recommended I volunteer with a group that helped publicize the Marine Corps Marathon. It was still a time in the event’s history when not all of the Corps’ top leaders thought the considerable effort required to put it on was worthwhile. In those early years, I produced TV public service announcements to encourage spectators to come out and cheer on the field of runners. After retiring from military service in 1996, my work as a broadcast journalist kept me associated with the event. Over the years, I have interviewed dozens and dozens of interesting participants — and broadcast live, from-the-course reports on radio stations WTOP and WNEW. 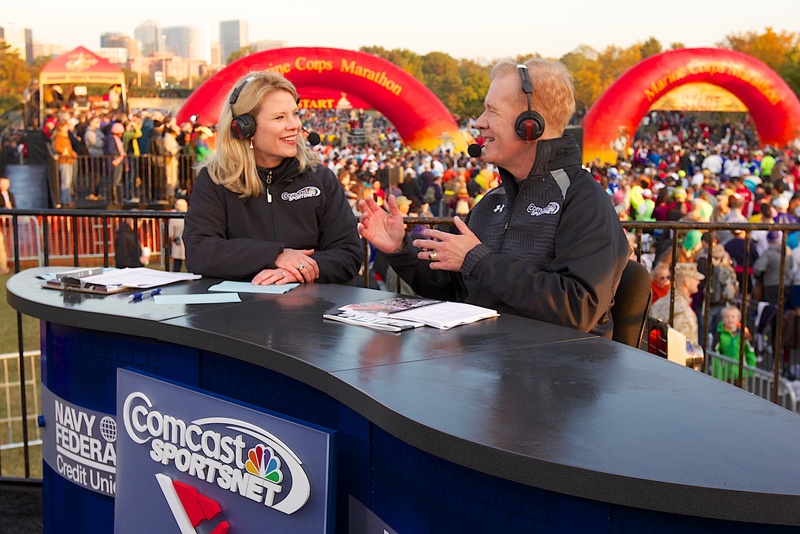 For the past four or five years, I’ve co-hosted CSN television race day morning broadcasts from the starting line. 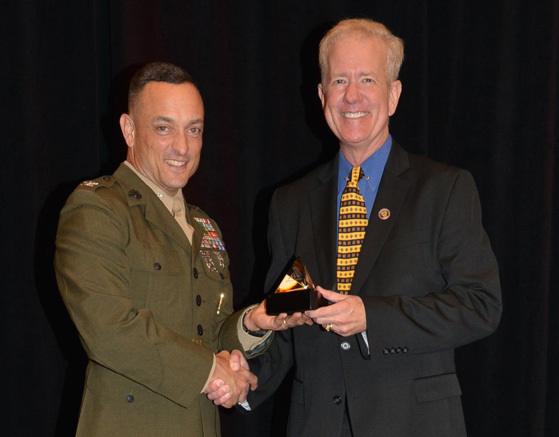 On October 23, 2015, the organizers of the event kindly inducted me as the 38th member of the Marine Corps Marathon Hall of Fame. Enjoying a race day morning with co-anchor Jill Sorenson. 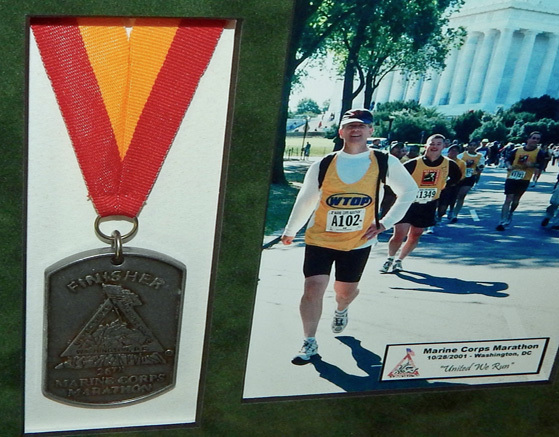 Memories of running the Marine Corps Marathon in 2001. It was a poignant, as well as challenging experience. We ran past the Pentagon, which had been the target of a terrorist attack just weeks before. As we passed it, we cheered — and were cheered on by — construction workers already rebuilding.